Nation's Largest Mattress Retailer Declares Bankruptcy - Joe.My.God. 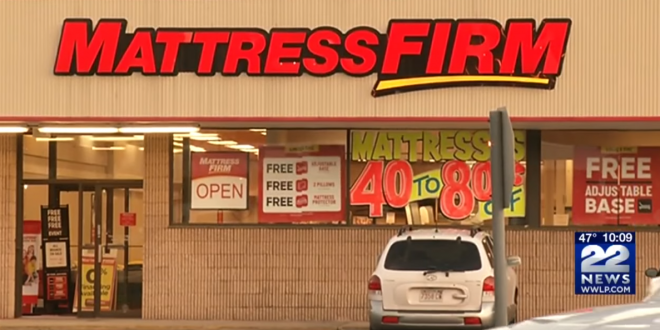 Mattress Firm, Inc., the nation’s largest mattress retailer, filed for bankruptcy protection on Friday, saying its rapid expansion of stores in recent years — with locations often very close to each other — resulted in “cannibalization” of sales. The company has more than 3,200 stores and more than 9,800 employees in the U.S. and in recent years had aggressively expanded its retail footprint. Mattress Firm’s parent company has been dealing with its own problems as its stock price has drastically tumbled after it reported accounting irregularities that are being investigated.